Poland is by strict measurements one of the fastest developing ecommerce markets in Europe. Contrary to more stable ecommerce markets in Germany or Britain, Polish ecommerce is ranked among the youngest, that is to say, it is in its development phase of intense transformation and optimization. With more than 38 million customers and the 24% increase of online retail year-to-year, Polish etailers have become an object of interest to a growing number of global players. In 2012, Internet Retailer indicated Poland as a leader of ecommerce growth in Europe and this year's revenues confirm the good condition of this market. Optimistic forecasts for 2015 inform us that the electronic Polish consumer market will reach 77 billion PLN, or £15.44b, accounting for for 4.9% of the GDP. From many years Polish etailers have offered their customers many forms of payment methods. This kind of attitude guarantees that customers don't go to a store's competition because they are able to pay in whatever method suits them best. During the last three years, account transfers and cash on delivery were the most frequently used methods of payments in Poland. 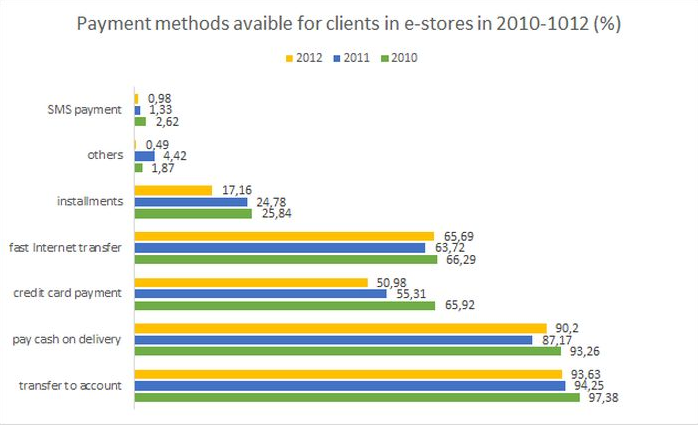 Contrary to expectations however, e-transfers are still not being widely used by many Polish etailers. Who Shops Online in Poland? The largest group of ecommerce website users in Poland are aged 25-34. In most cases, they have a secondary education and 33% of them live rurally. Their behaviour can be divided almost equally amongst online stores (32.7%), price comparison websites (31.8%) and group shopping sites (29.3%). Their biggest reasons for shopping online are the need to save time, comfort and looking for the lowest prices. The biggest development that we can observe in Polish ecommerce at the moment is a continually increasing mobile sector. 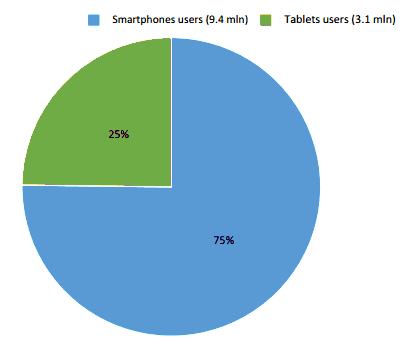 In 2011 the mobile ecommerce market increased about 722%. 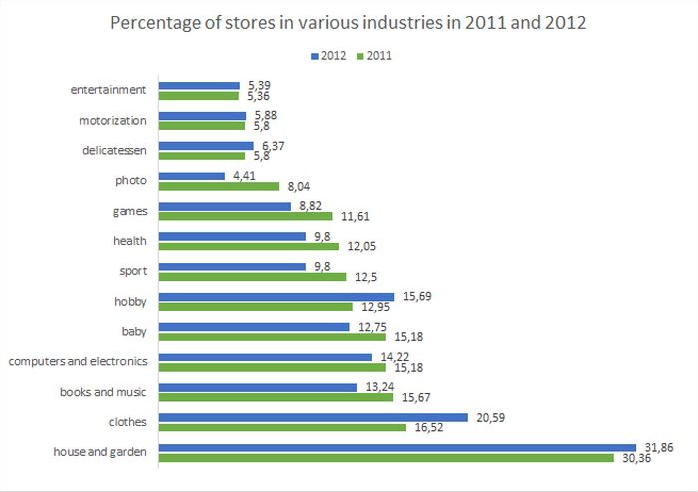 However, ecommerce market saturation in Poland is not yet so high, which gives Poland big potential to develop further. Another development we can see is progressive market segmentation. Because of the high trade saturation, especially in the electronic sphere, customers will choose online retailers that offer the most professional range of products and services. In the coming months and years, Poland will continue to move out of its developmental stage to one of stability in the market. Polish retailers should keep in mind that competition will be marked not only by price differentiation, but also by the quality of customer service, extend of offerings, usability, trasactional safety and timeliness of delivery methods. This guest post was written by Anna Wyrwa, Marketing Specialist at Divante, a Polish company which implements Magento Software across Europe. If you are interested in conversation about e-Commerce in Poland, we encourage you to write to awyrwa@divante.pl.